Tickets now on sale to Inner Circle members, login to access; available to other SJW members on April 18 & the public on April 25. All seats in Dinkelspiel are reserved. There is a specially-priced Premium area in Sections 1 and 2. 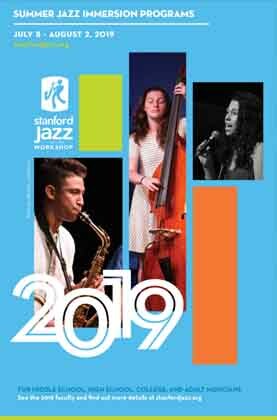 Sign up for Stanford Jazz Updates! Get the latest news on Stanford Jazz Festival and summer jazz programs. Please choose the method(s) you would like to receive news update about the Stanford Jazz Workshop. Please do not share my information with third parties.